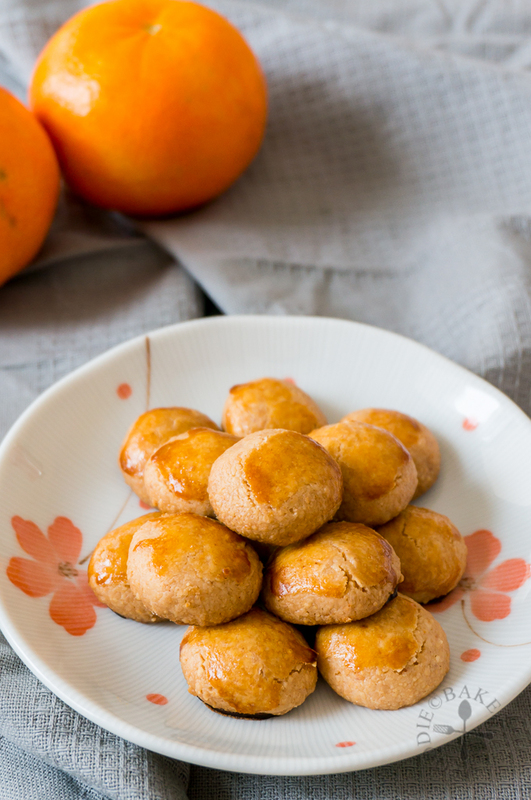 Here is another Chinese Peanut Cookies recipe (I can never get sick of peanut cookies because they are so addictive!) Instead of using the shortcut method of peanut butter, these are made with ground peanuts, which I roasted, peeled and roasted again before they are ground into a fine powder/paste. It’s a lot more work involved but because of a secret ingredient used, it makes the cookies a lot more melt-in-the-mouth than the Peanut Butter Cookies I blogged about last week! 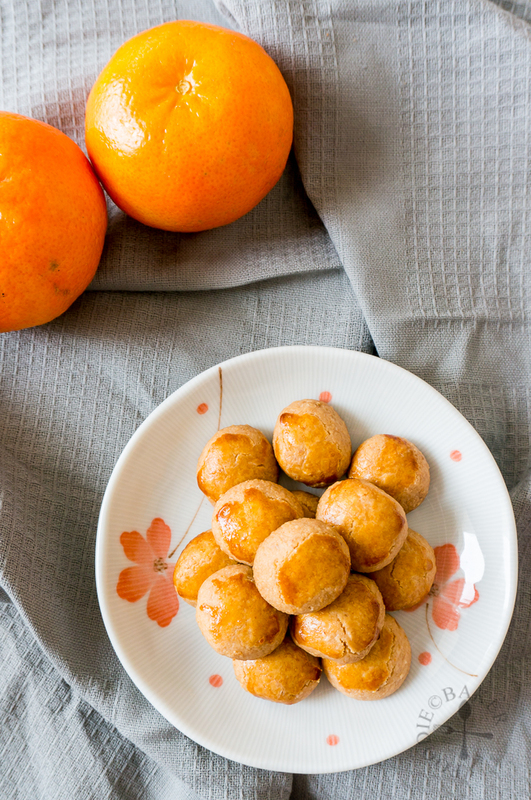 And the secret ingredient is… rice flour! I tested this recipe once with plain flour and once with rice flour. The cookies from the plain flour recipe tasted just like my Peanut Butter Cookies but the cookies from the rice flour recipe is totally out-of-the-world-amazing. The cookies won’t crumble when you pick it up but just put one in your mouth and you will definitely go “woah” as the cookie disintegrates and release all the peanut-y goodness. One more photo of these cookies before I hand it over to the step-by-step photos! 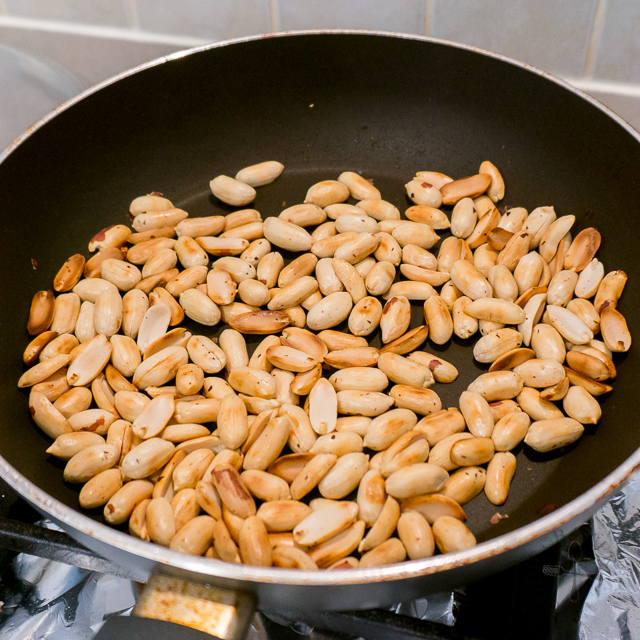 1) Place the peanuts in a large frying pan and roast over medium heat. 2) Until the peanut skins have dried out. 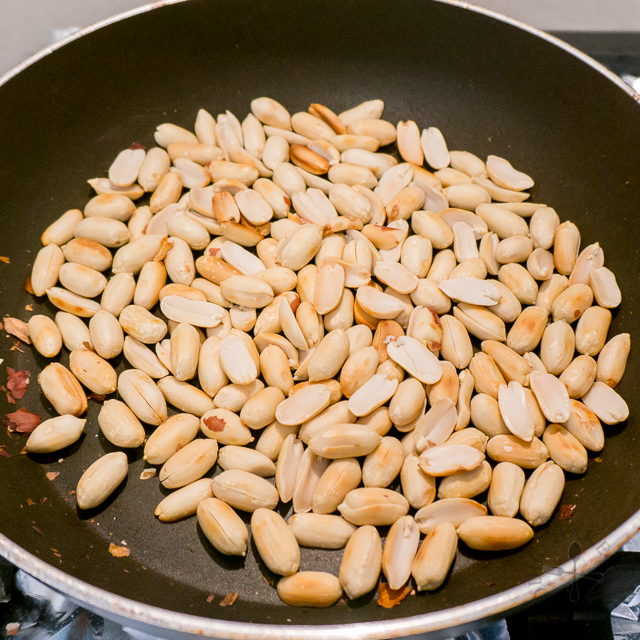 3) Rub the peanuts against each other in a tea towel to remove the skins. 4) Transfer the peanuts back into the frying pan. 5) Roast until they are golden brown. Let cool then process them into a fine powder. 6) Sift the rice flour, icing sugar and salt into a large mixing bowl. 7) Add the powdered peanuts into your large mixing bowl. 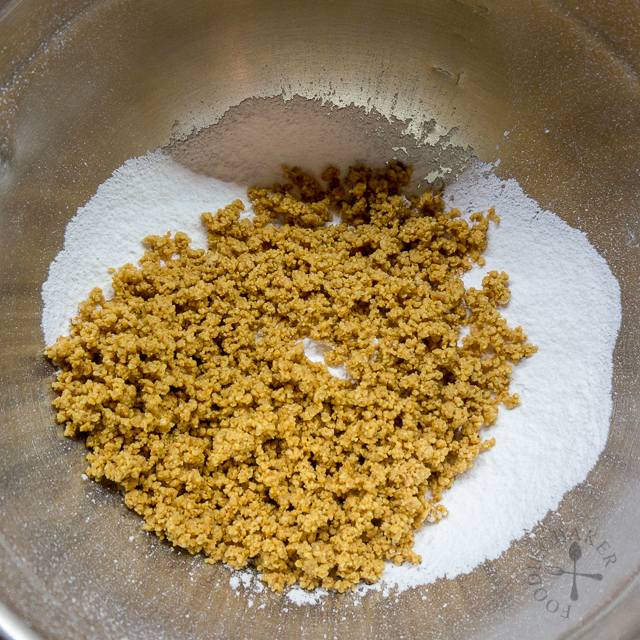 8) Rub with your finger tips until the peanut and flour mixture is well-mixed together. 9) Add in oil and mix to form a dough. 10) Here's the dough - not too dry and not too wet! 11) Divide dough into 8 to 10-gram pieces and roll into balls. 12) Brush the top of the cookie dough lightly with egg wash.
13) Bake the cookies for 10 to 15 minutes until the top is golden-brown and the cookies crack a little. Let’s see how long can these cookies last! 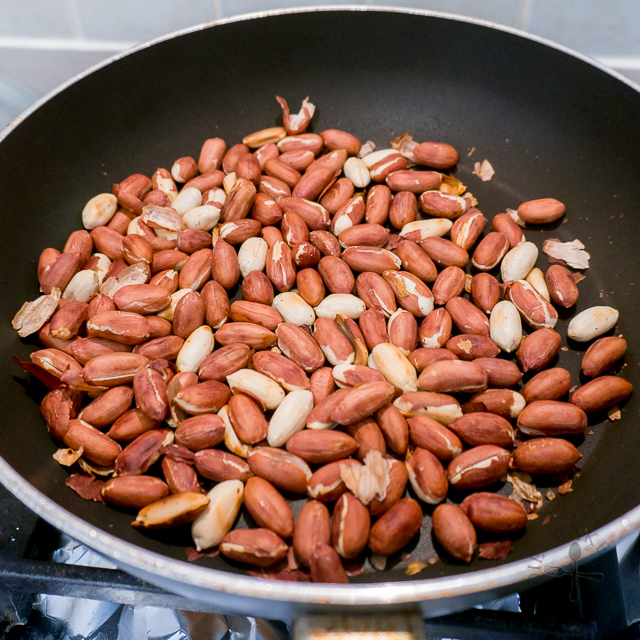 Place peanuts in a large frying pan in a single layer. Heat over medium heat, tossing frequently, until the skin has dried out. 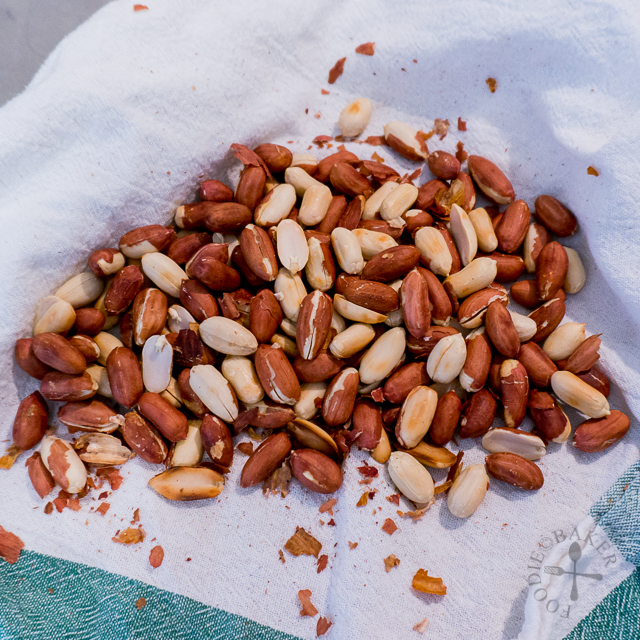 Transfer the peanuts onto a tea towel and rub the tea towel (with the peanuts inside) between both hands until the peanut skins fall off. 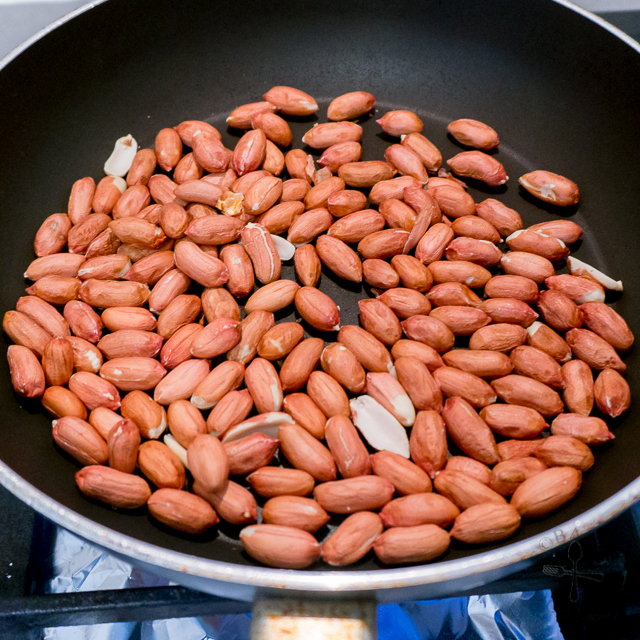 Remove all the peanut skins completely and transfer the peanuts back into the frying pan. Turn on the heat to medium and roast until the peanuts are golden-brown, tossing frequently. Remove from heat and let the peanuts cool completely. While the peanuts are cooling, preheat the oven to 180C / 355F. Line a baking sheet with parchment paper and set aside. 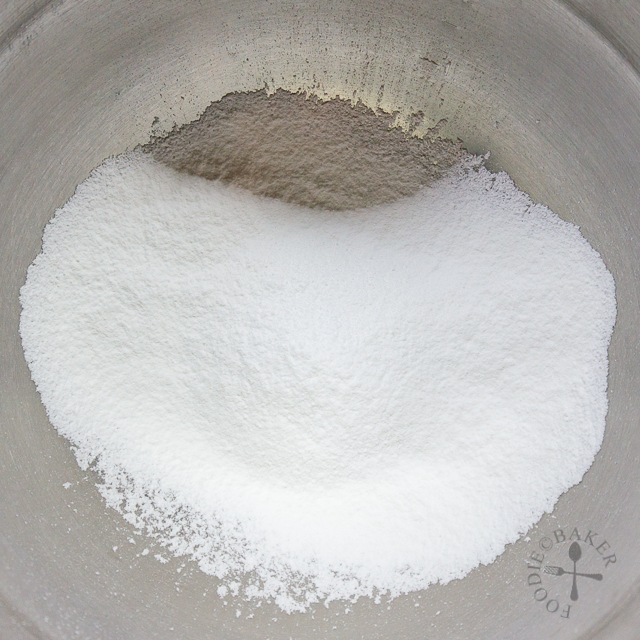 Sift the rice flour, icing sugar and salt into a large mixing bowl. Transfer the peanuts into a food processor and process into a very fine powder. 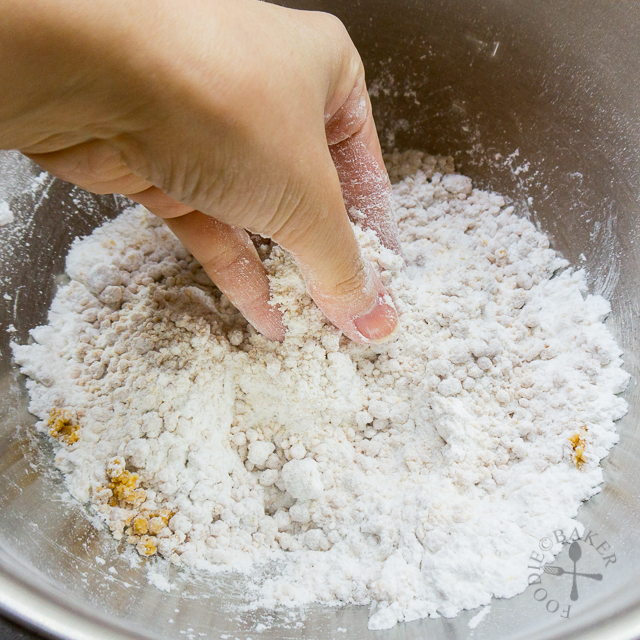 Add into the mixing bowl of flour mixture and rub with your finger tips until the peanut and flour mixture is well-mixed together. Measure 80 grams of oil in a small bowl. 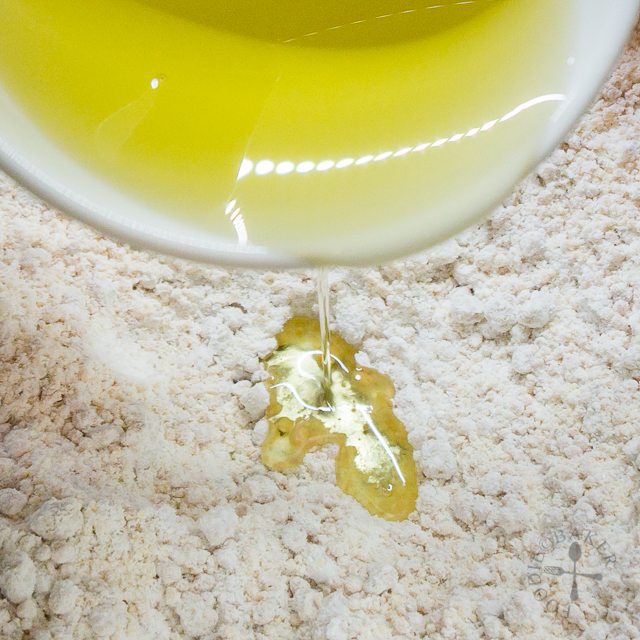 Add the oil gradually into the mixing bowl, mixing the mixture with your hand until a dough is formed. If the dough is too dry and crumbles when handled, add in more oil spoonful by spoonful, incorporating it well before adding anymore oil. 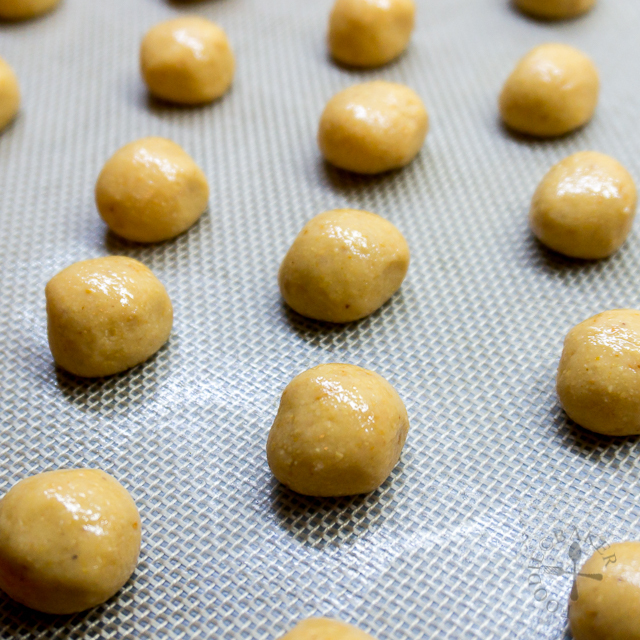 Divide dough into 8 to 10-gram pieces and roll into a ball. 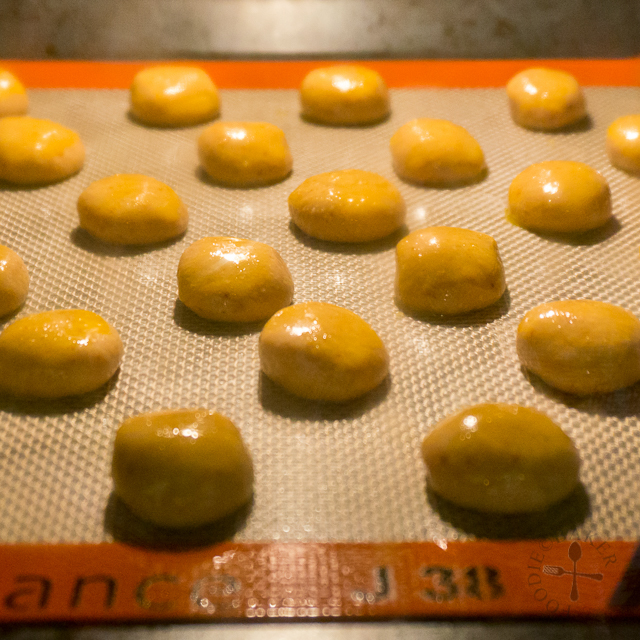 Place the dough on the baking sheet, spacing them at least 1-inch apart from each other. Combine the Egg Wash ingredients together in a small bowl and brush the top of the cookie dough lightly with the Egg Wash, ensuring the Egg Wash do not touch the base of the cookies otherwise the bottom of the cookie may be burnt during baking. Bake the cookies for 10 to 15 minutes until the top is golden-brown and the cookies crack a little. 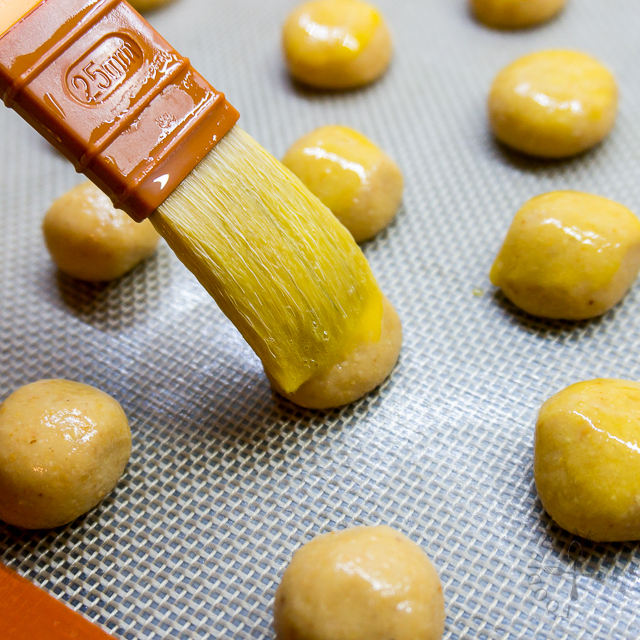 Transfer the baking sheet onto a wire rack and let the cookies cooled completely before storing in an airtight container. - The rice flour used are made from finely milled rice. It is not mochiko (sweet rice flour) or glutinous rice flour. Please use the correct flour! Chinese new year is going to happen next month. I shall use your recipe to make. But i have a few questions. I read that if i use rice flour + icing sugar i will get melt in mouth kind of cookies right? But if i want to get more crusty crispy feel. I should change my rice flour to plain flour? Do I need change to fine caster sugar? Have you try before? Hi Imz, I have not modified this recipe before so I’m not sure what will happen if you change to plain flour. 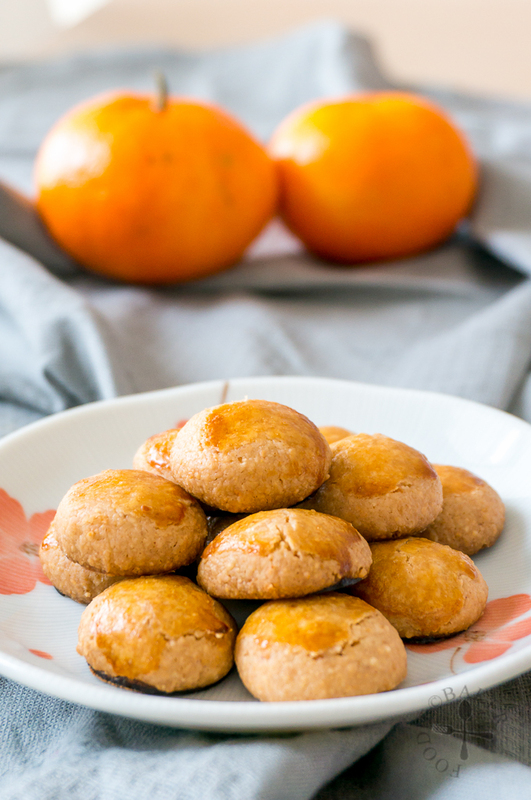 I will suggest give another of my peanut butter cookies recipe a try (https://www.foodiebaker.com/chinese-peanut-butter-cookies/). I think it will be slightly more crusty. What temperature do you have to bake it at? Hi Kiah Min, I baked them at 180 degrees Celsius. Would rice flour work for cashew cookies too? Hi Ivy, sorry I’ve not tried with using rice flour for cashew cookies so I’m not sure. What I would do is make a small batch of the recipe (like 1/2 the recipe) and swap out 50% of the flour with rice flour and see how it goes. If you managed to experiment with rice flour, let me know how it goes! 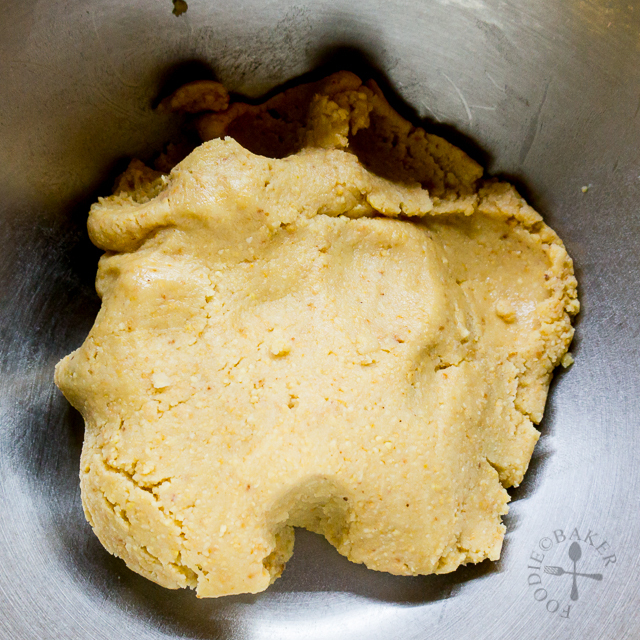 I love baking with rice flour and it’s one thing that I always use in my shortbread cookies. That crumbly goodness is wonderful! These peanut cookies look amazing with all of those peanuts. Delicious, Jasline! I’ve never had a peanut cookie like this, but of course, I would love it! I love anything peanut. I’m sure these are so addictive! I would never have thought to use rice flour 🙂 This is definitely the next recipe to try when making the next batch of peanut cookies. This is interesting! 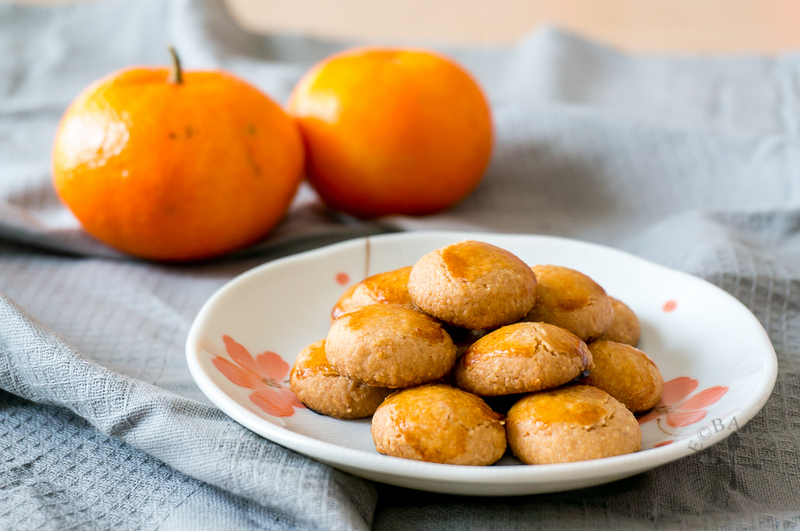 I didn’t know rice flour is the magic ingredient to make these peanut cookies extra melty! Thanks for the enlightenment… LOL! These look so amazing! I’m going to try this out for sure! I love the step-by-step photos! Thanks for sharing! These must be so fragrant with freshly roasted peanuts. I probably can’t stop eating them! I have baked breads with rice flour, but I’ve never tried using it in cookies – very, very interesting. I have to give this a try! And I’m with you on peanut cookies, I can’t get enough of them either! I will have to try it with rice flour next time!! I bet they are delicious too !